7 inches tall like 3 inch diameter cut or Etched glass. Thank you for submitting your item for appraisal. This appears to be a mid 20th century wheel cut crystal wine glass. This flower and foliage design was very popular in the 1930s but was still popular well into the 1950s. A number of manufacturers offered similar designs, both in continental Europe and the USA. 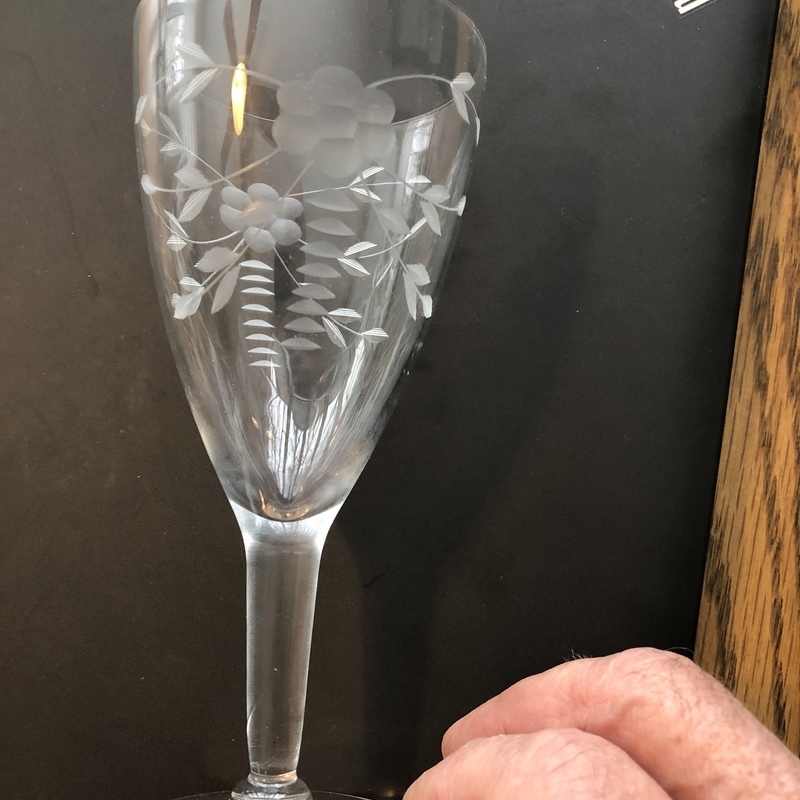 This clear glass wine glass might have been manufactured by Libbey glassware company. The estimate is based on similar items offered or sold at auction.